Peggy really did Sally King’s work proud! I love the vibrant colors with the shoes. They really make them stand out. Love using Sally King Shoes for our shoe bags. 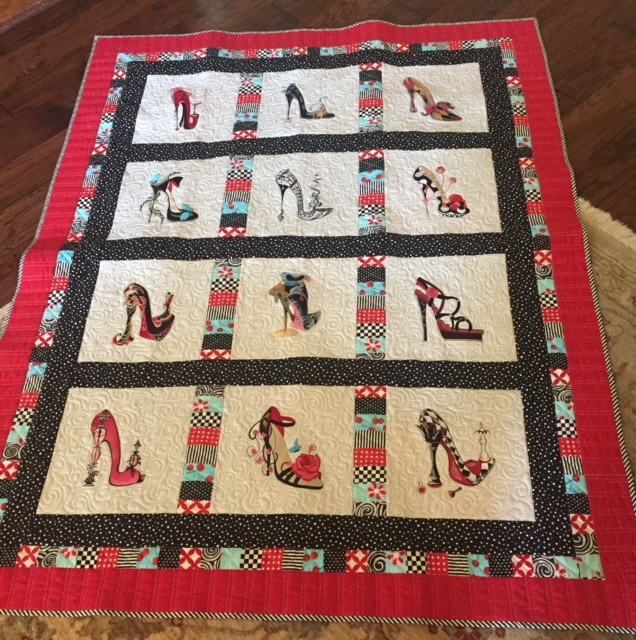 Are all the shoes on the quilt hers? Couldn’t seem to find some and am always looking for new designs for our bags. Thank you. Previous Previous post: Embroidery on Wheels!